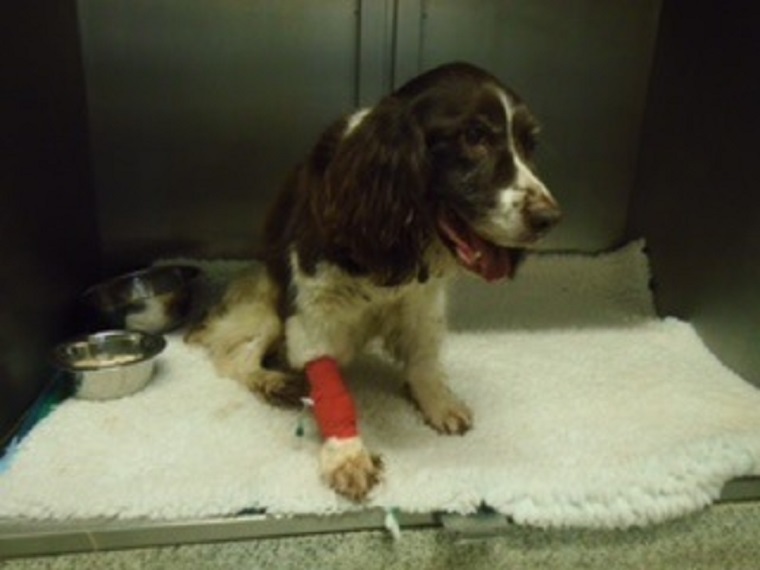 Swindon Borough Council’s Animal and Licensing Team are seeking the owner of a liver and white Springer Spaniel found straying in Swindon. The dog was found on a grassy area near New College in the afternoon of Thursday 2nd March. She had been seen roaming around the area all day but the Council was not contacted until 4 pm. According to her microchip, she was named Fern and was 15 years old. The chip was registered to an address in Dorset so appears to be out of date and attempts to contact the owner have been unsuccessful. Fern was wearing a black collar, with no tag. She was very dirty when found and struggling to walk. She appeared to be very uncomfortable so was taken directly to a vet. Following a 24-hour observation period, blood tests and a CT scan which indicated chronic painful health conditions, she was put to sleep under strong veterinary advice. Jordan McEwan, Animal Warden for Swindon Borough Council, said: “Fern’s age had no bearing on the veterinary decision to put her to sleep, which was done purely to avoid her suffering further. Indeed, we have many devoted ‘dog rescuers’ who are happy to take on dogs of any age. “But we are keen to trace Fern’s owner to discuss whether or not medical attention had been sought for her and how she came to be alone and roaming. “Anyone who recognises Fern or has information about her ownership is asked to contact 01793 445500.